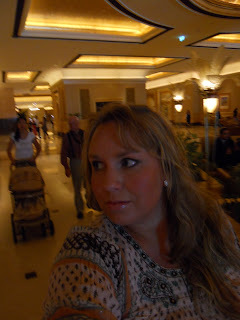 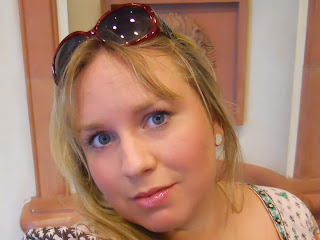 Frankly, I´ve been busy, oh so busy lately, and the blog has not been among my first priorities. 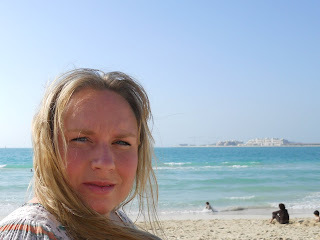 Since I´m not updating that often, from now on the blog will be mostly about my travels and trips around the world, and less about my everyday-life. Hope you´ll stay with me and comment on my adventures that I´ll publish! 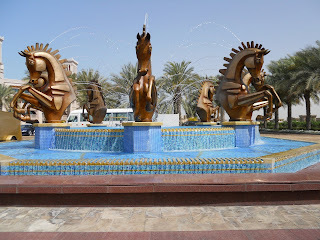 So here is some more from lovely U.A.E. 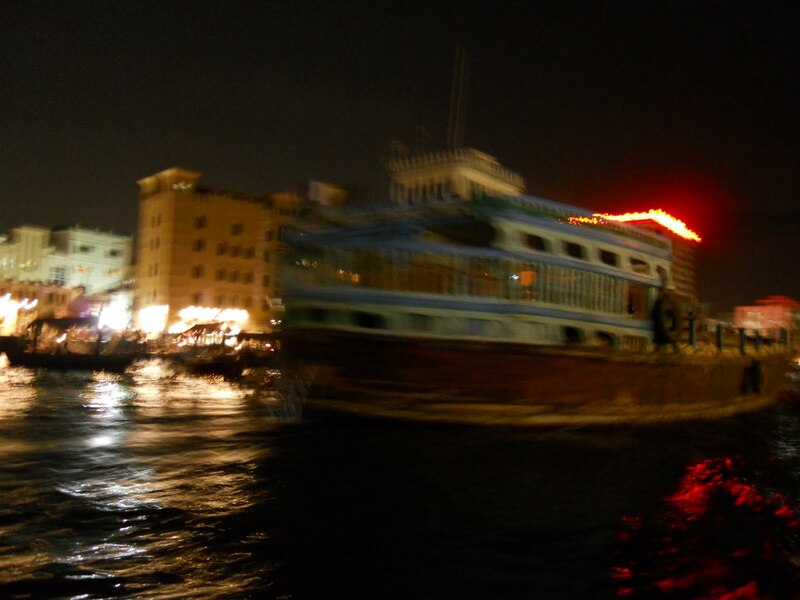 Picture 300-500. 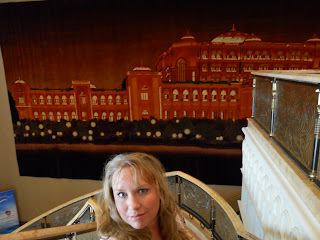 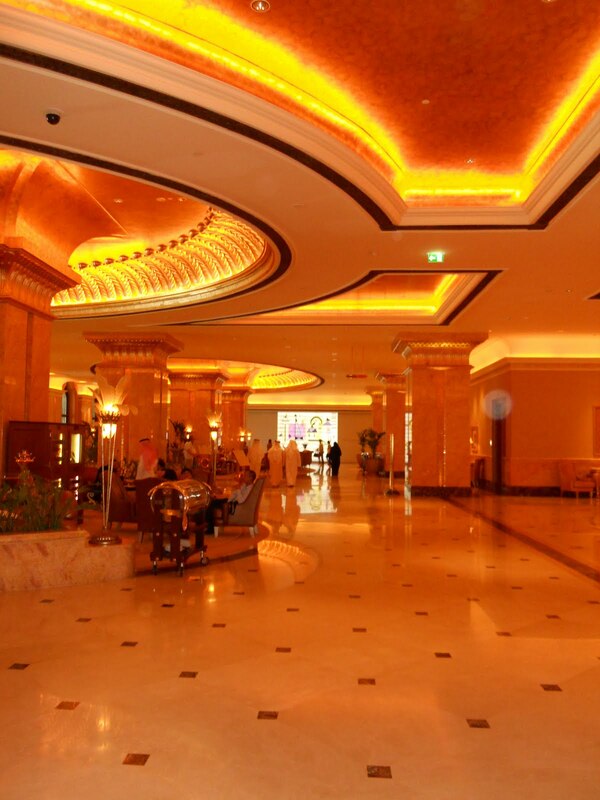 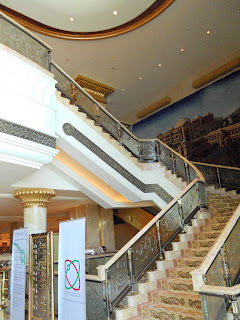 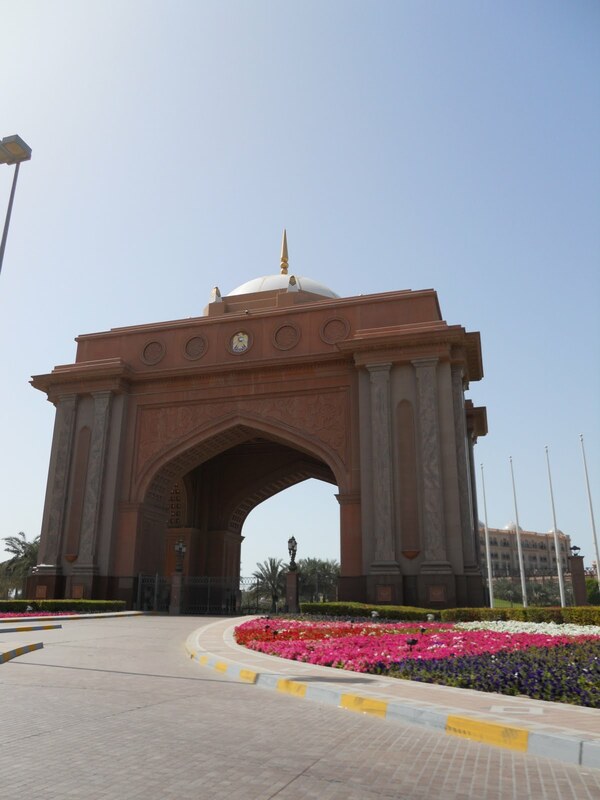 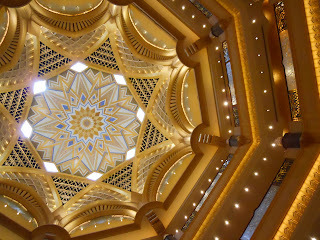 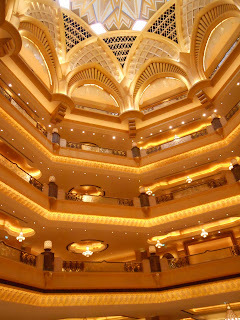 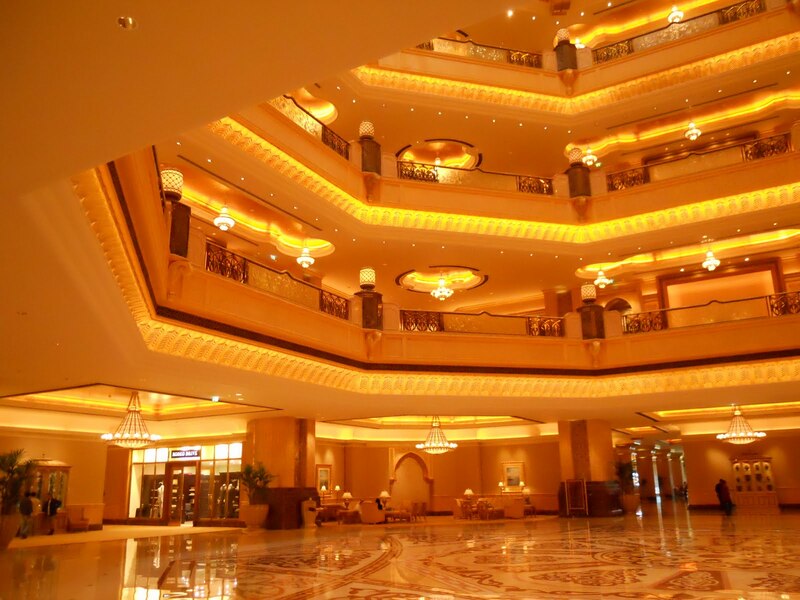 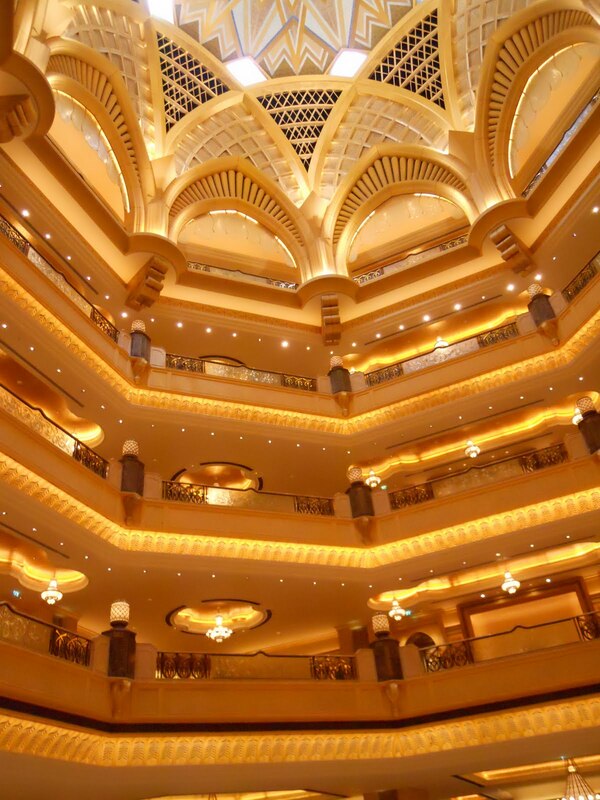 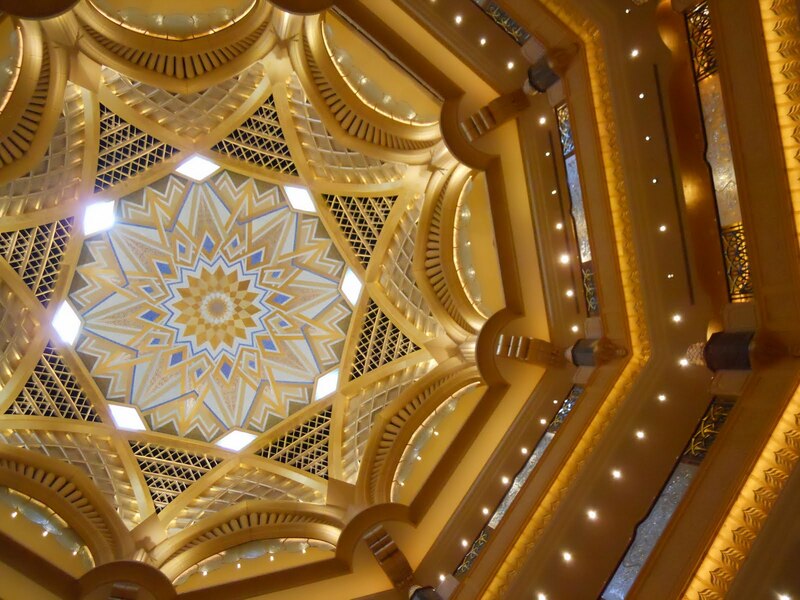 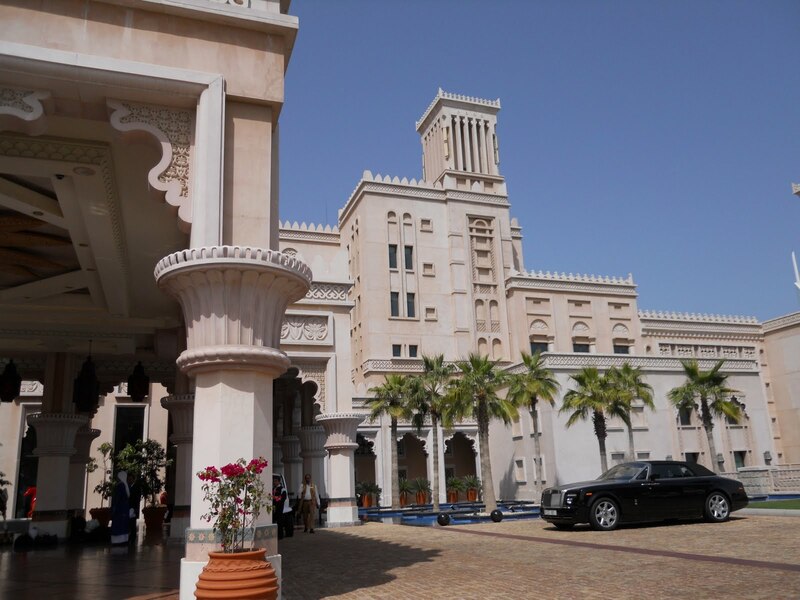 The huge hotel Emirates palace is not just a hotel but a popular sight not to be missed in Abu Dhabi. 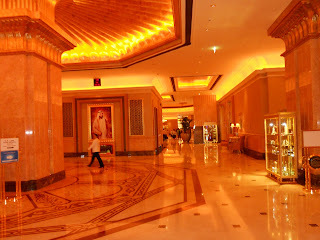 Beautiful environments and filthy rich people is a common sight. 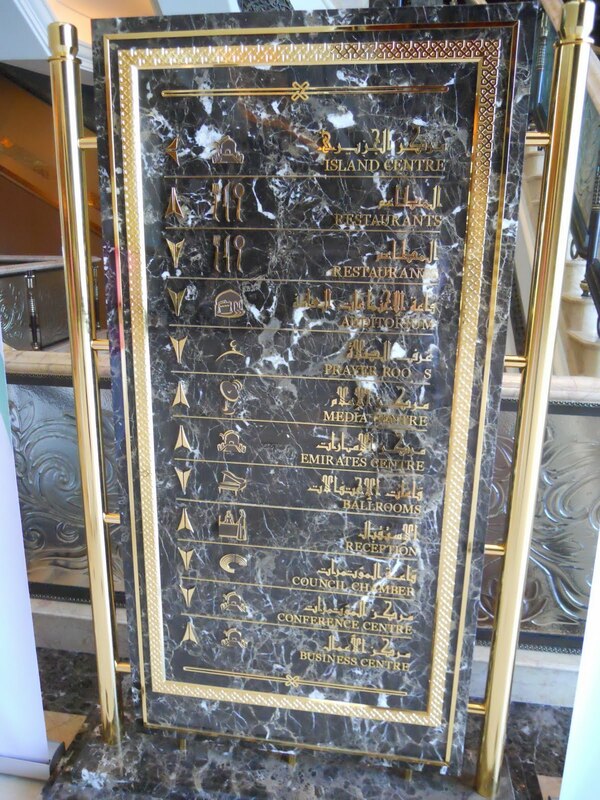 Why not use fine marble for the streetsigns as well? 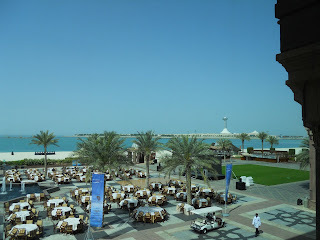 Quite a nice view, don´t you think? 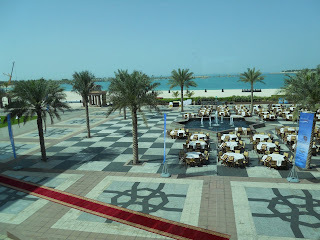 And of course the red carpet is rolled out for the special guests. 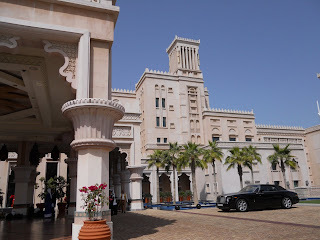 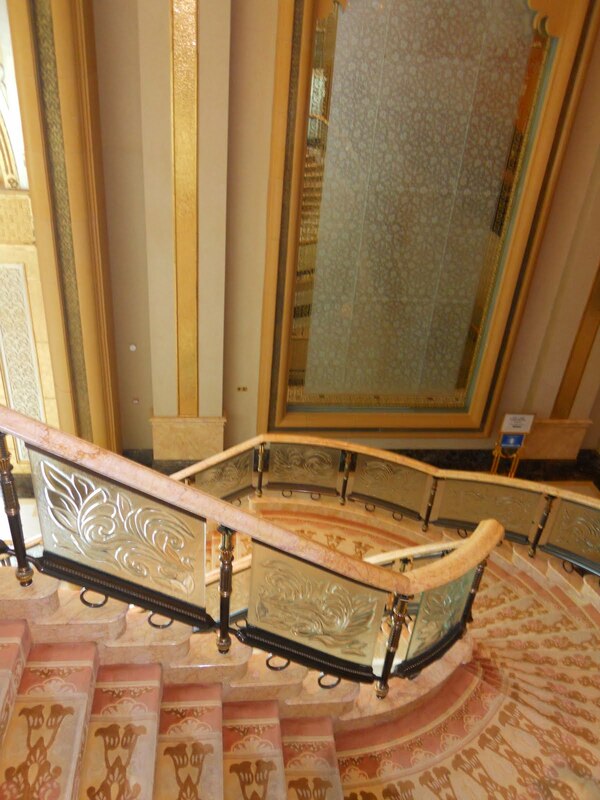 Emirates Palace has some extraordinary private suits, that is always ready and equipped with all you can wish for, just in case someone V.I.P. 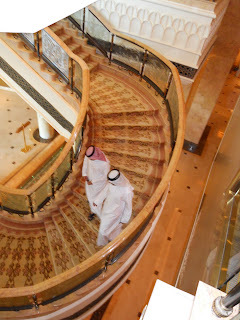 (like some of the rulers of U.A.E.) 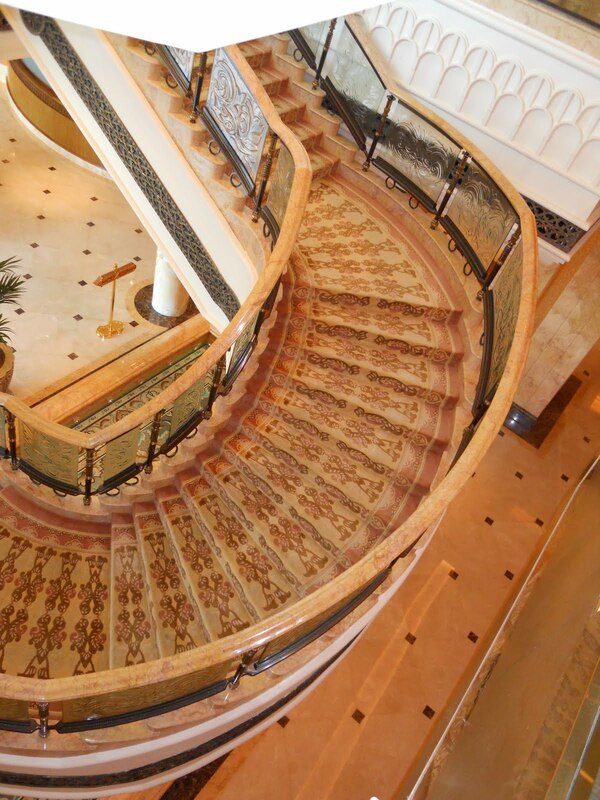 would feel like dropping by. 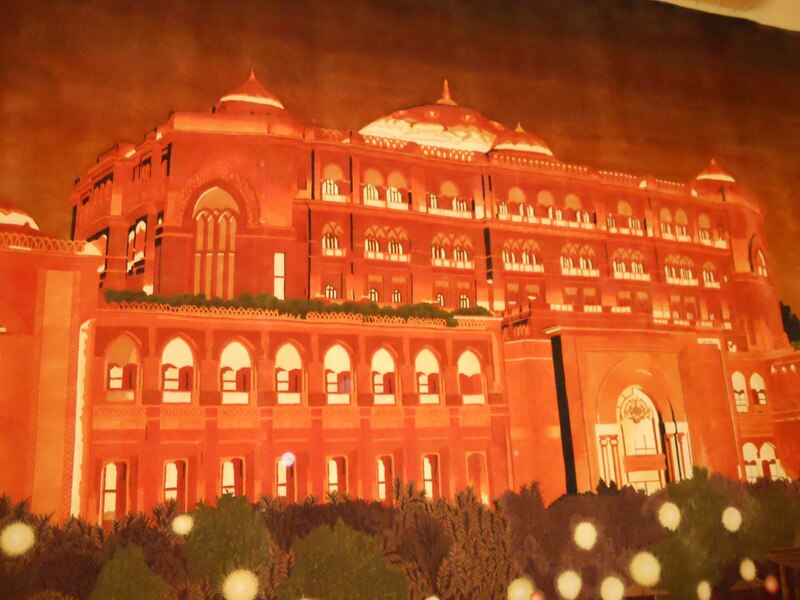 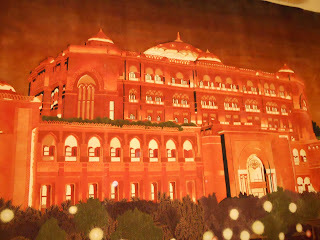 And this is a replica of the Palace, made as a huge carpet hanging on the wall. Yet another lovely carpet, from a distance you´ll think it is a painting! 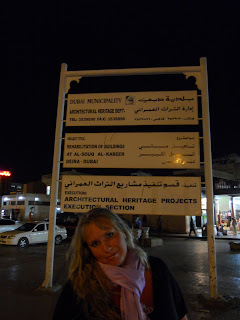 Yes, I am in! Well... Actually I was not staying here this time, but I would not mind a couple of nights here sometime, just in case someone was feeling like hitting me with a treat! Yes, it is huge, and this is just a small part of the lobby. 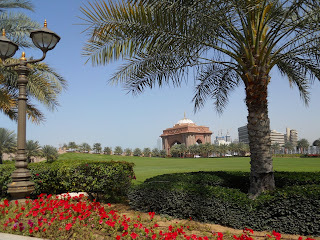 This is the view of a part of the garden. 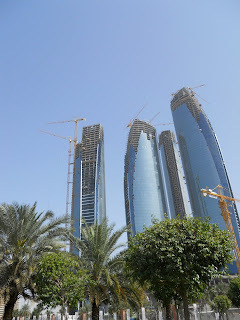 Pearl of the Emirates, not yet quite finished, but when it will be it will be one of the most famous landmarks in U.A.E. 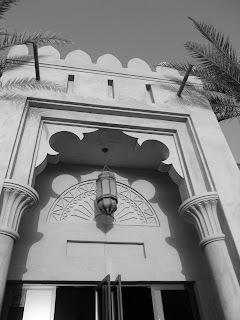 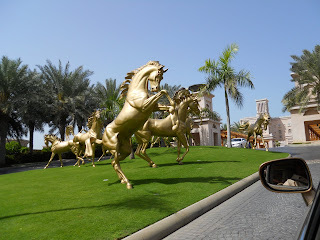 On the way to Abu Dhabi we made a quick stop at Al Qasr, just close Madinat Jumeirah, yet another hotel categorized in the lap of luxury. 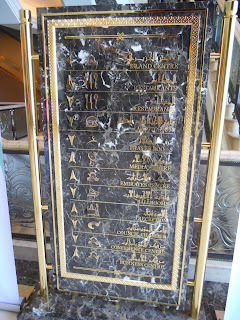 Main entrance at Al Qasr, which by the way means Palace in arabic. Golden horses are dancing outside Al Qasr. 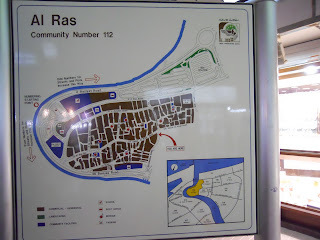 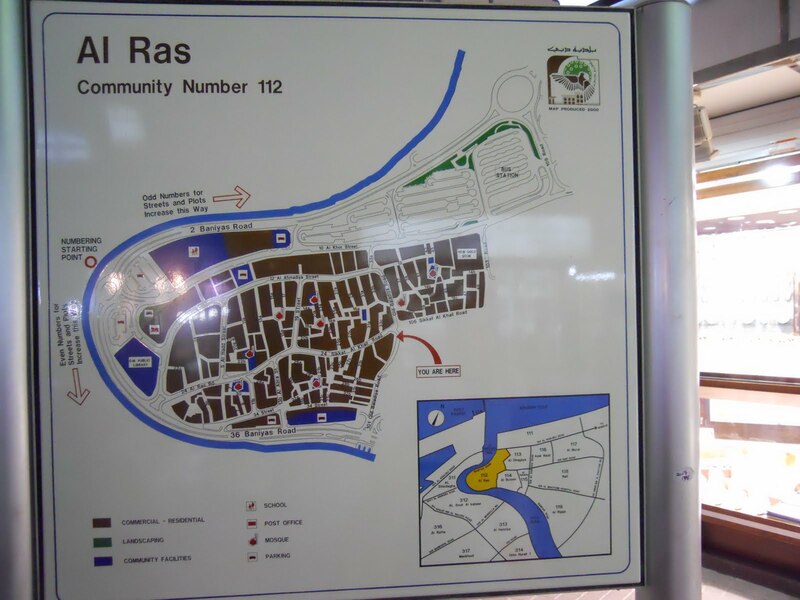 Map of Al Ras in the Deira area. 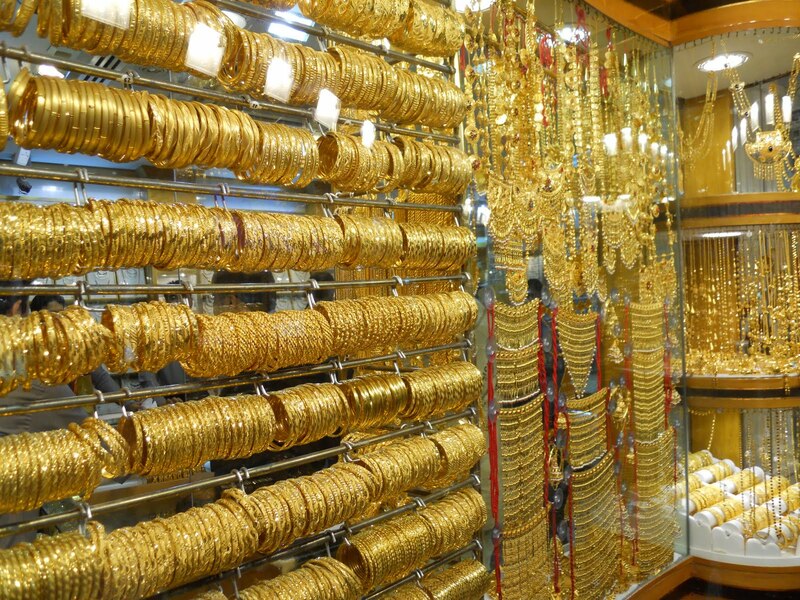 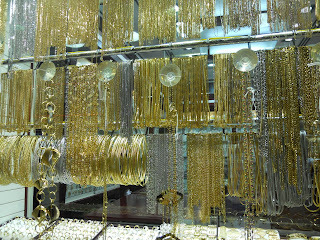 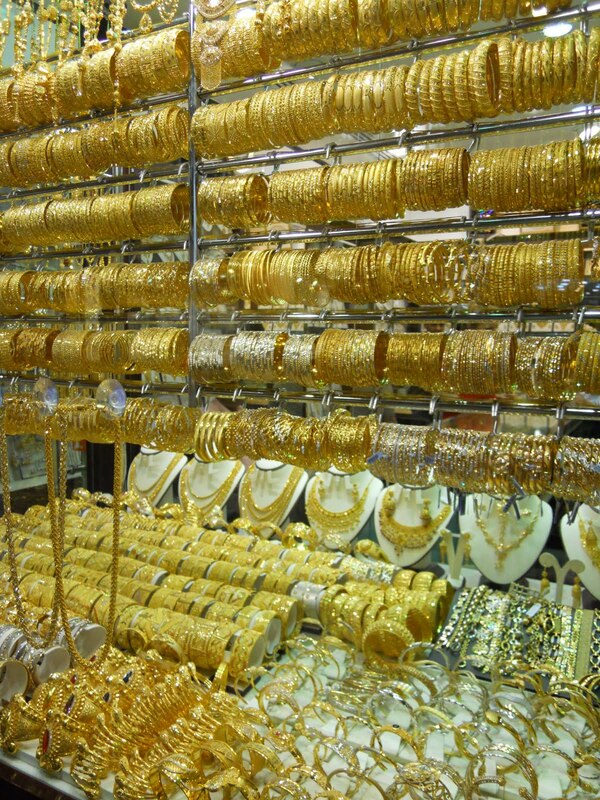 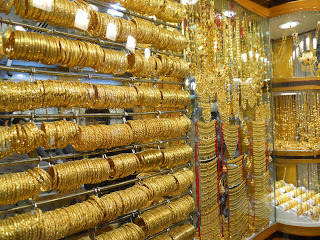 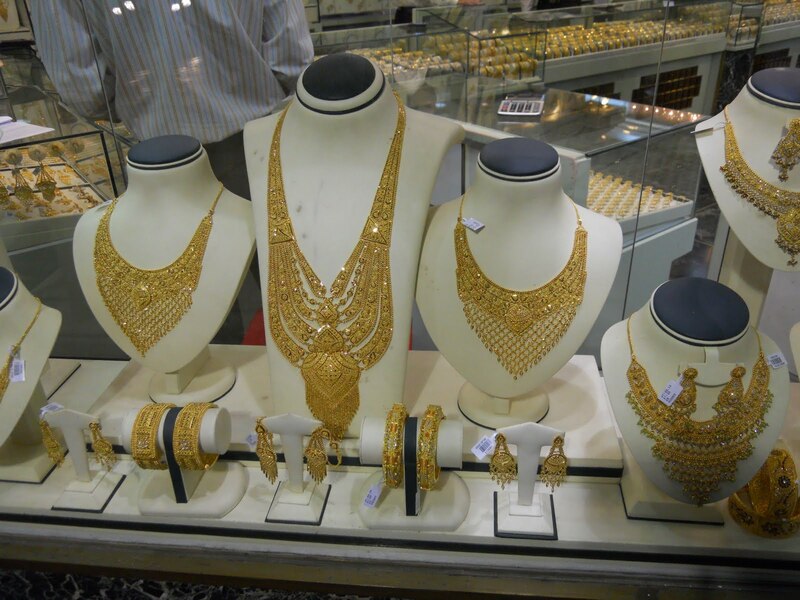 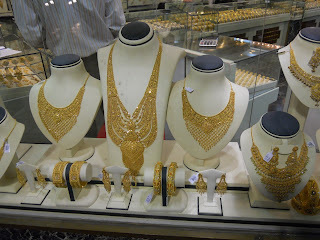 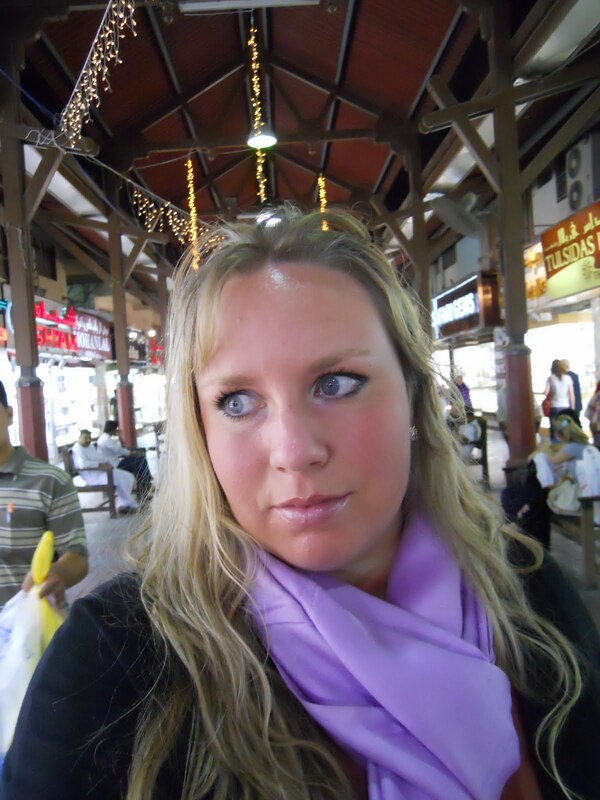 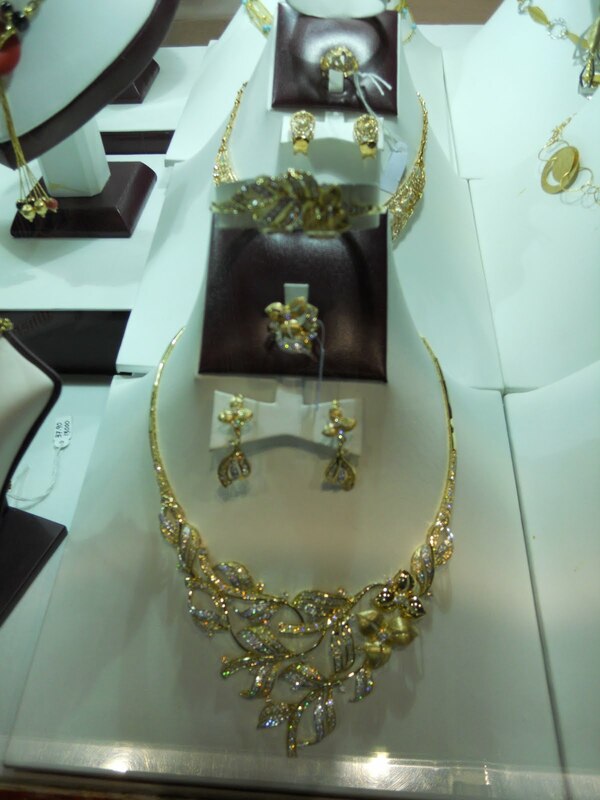 Gold, gold and more gold in Deira gold souk! 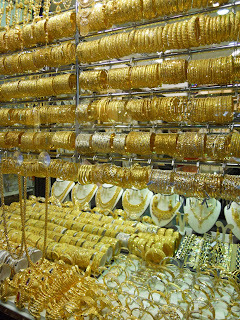 One of the major gold shops in the goldsouk. 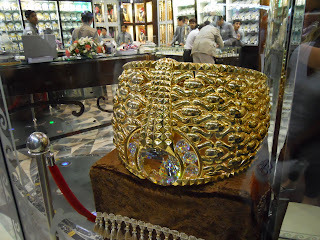 Worlds biggest goldring in Deira. Posing after getting of the first Abra of my life. 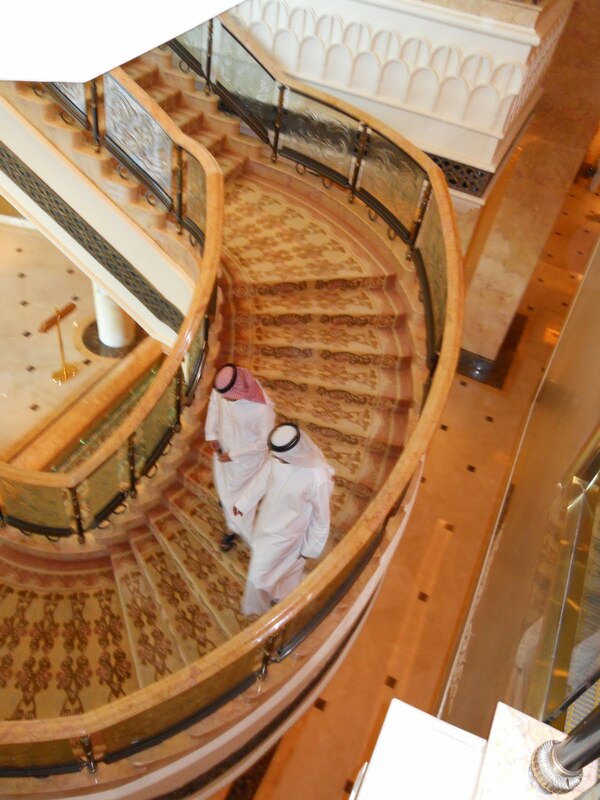 Locals crossing the creek, of course using the abras. 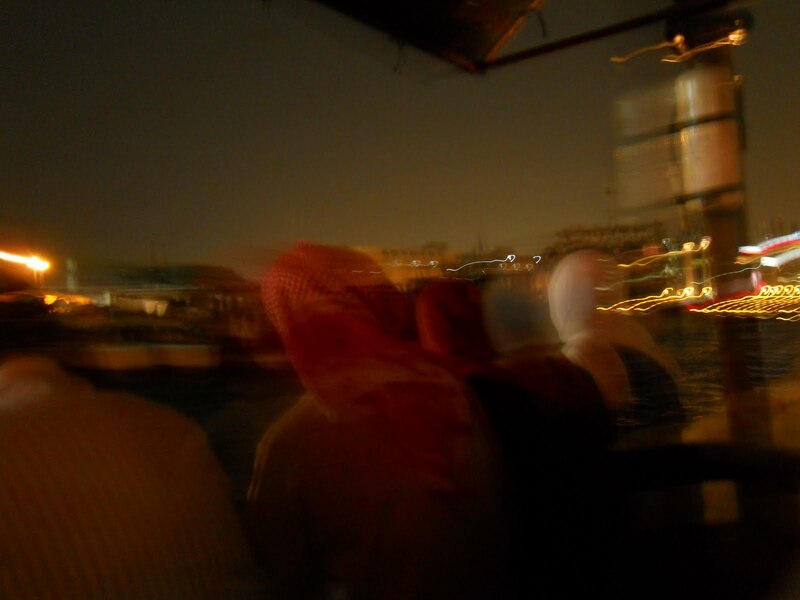 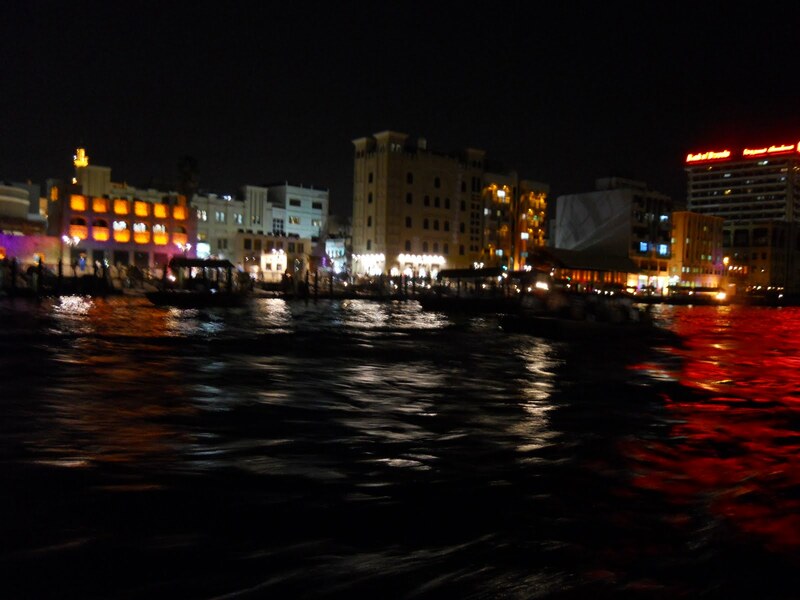 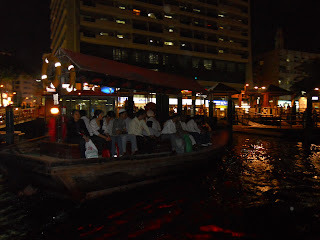 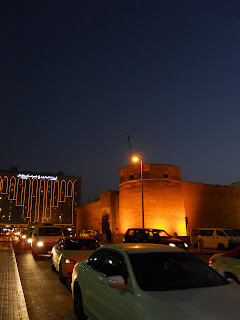 Bur Dubai seen from the creek at night. 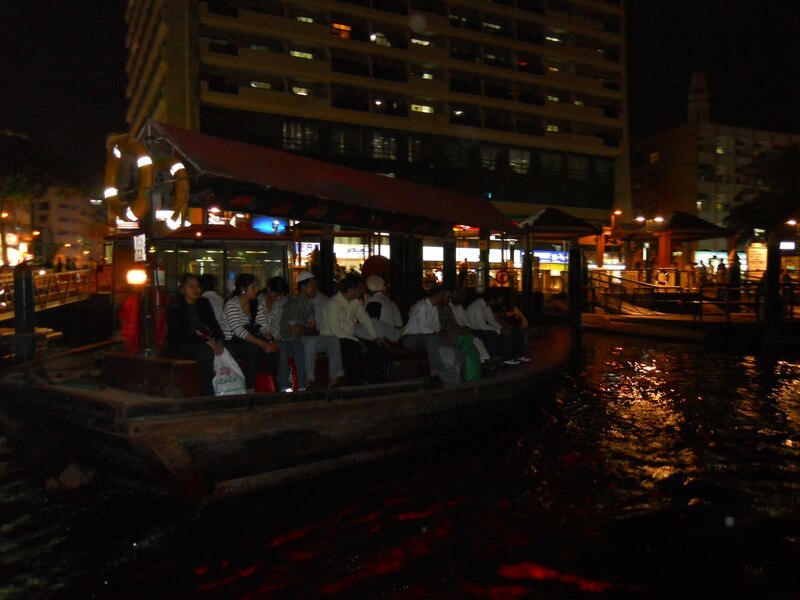 The creek is a bustling place, both day and night. 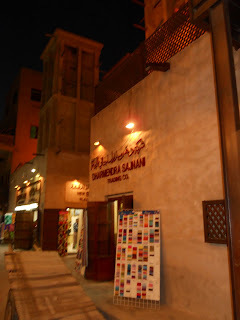 Abras is "a must" while visiting Dubai. 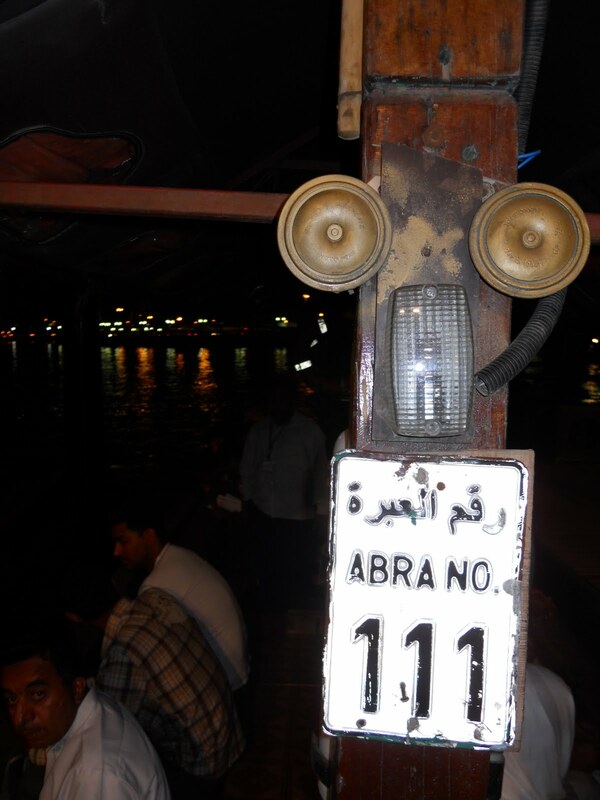 All abras have their own number, and the ride is 1 dh per person and direction. 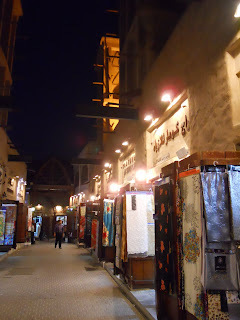 Textiles in Bur Dubai, great if you need to go shopping for fabrics! 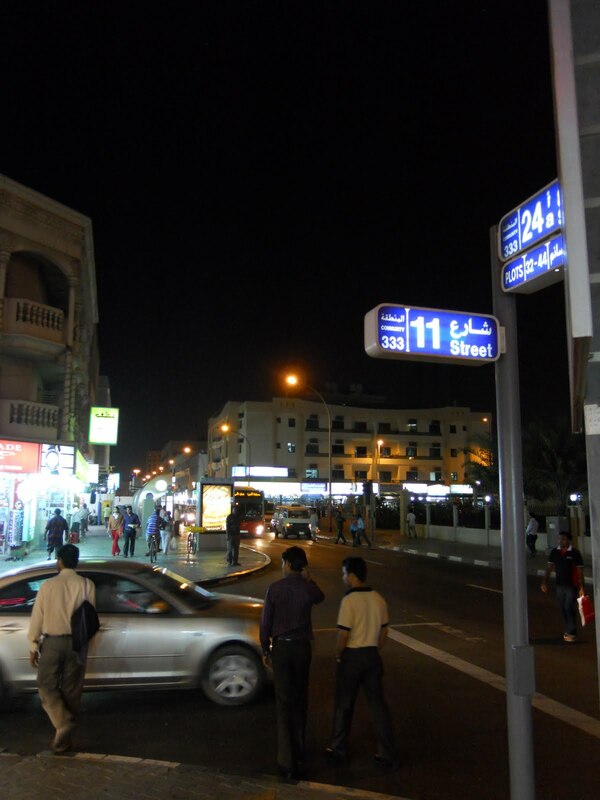 A bustling street in Al Satwa. 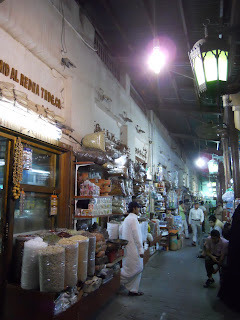 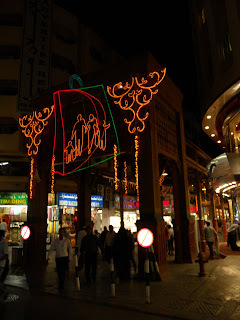 Al Satwa is an area with lots of shops and small restaurants. 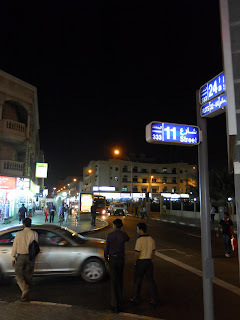 Here you can also see the famous Sheikh al Sayeed Road in the background. 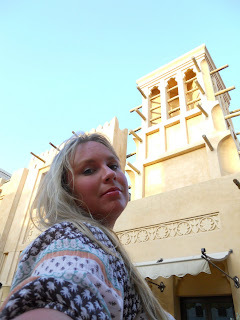 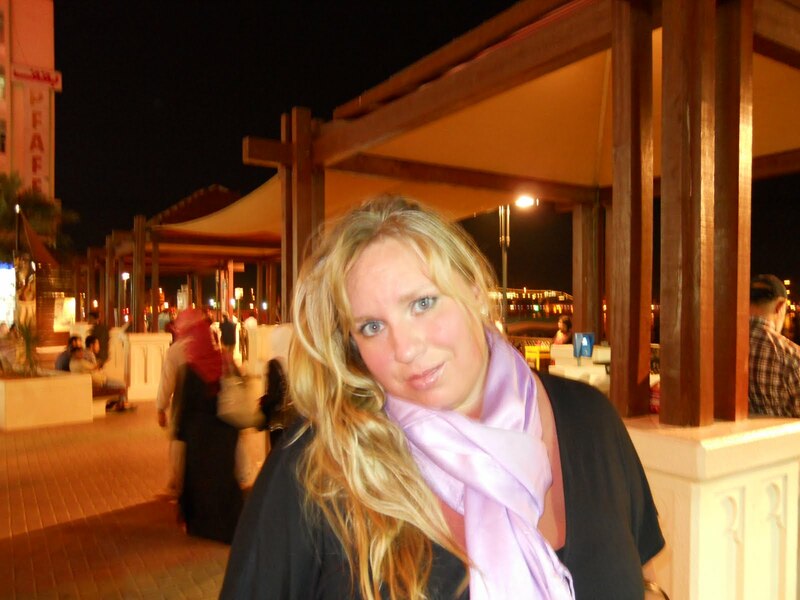 In Madinat Jumeirah, posing in front of a nice traditional arabic house. 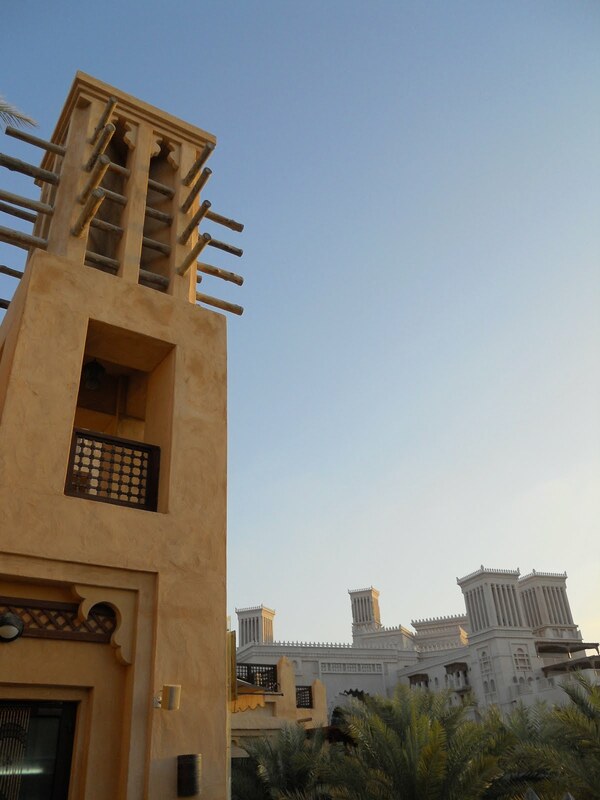 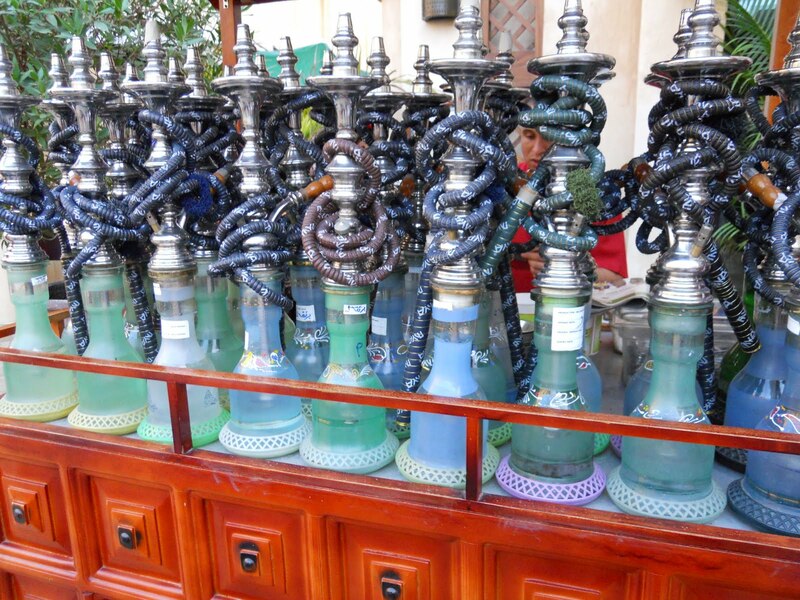 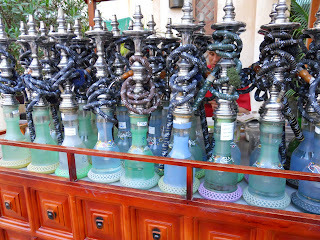 A beautiful Bab in Madinat Jumeirah. 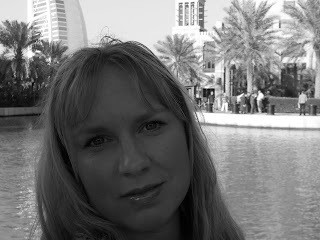 This is it for now, I´ll try to be back with some more soon.